Looking for a customizable material tool? 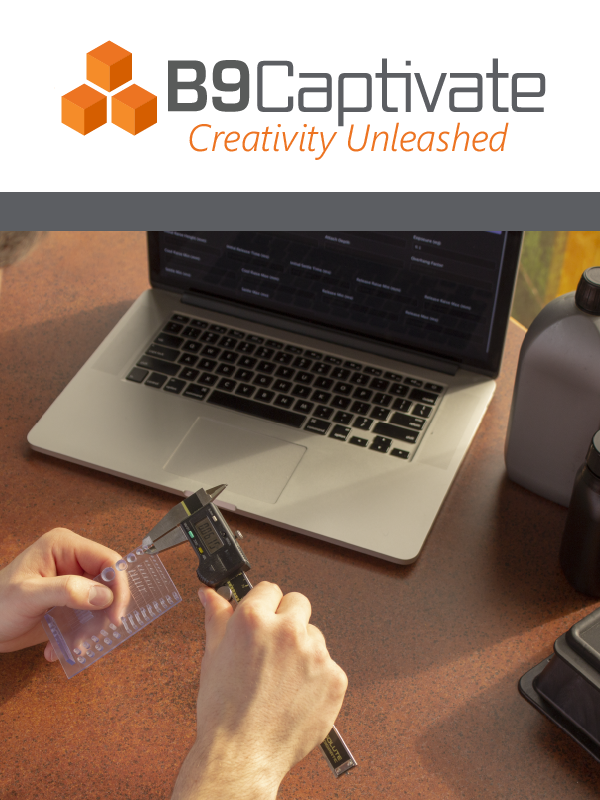 Whether you're a chemical company, a major supplier of tools and equipment into an industry, a customer who's looking to license software at scale or one seeking a partner in their materials development, B9Captivate Enterprise offers a custom solution to solve your business needs. In addition to exposure, mechanical cycle settings, and version control, B9Captivate Enterprise offers a wealth of values for dimensional fine tuning, third-party distribution, and a partner in your custom materials development. Not sure which plan is right for you? Fill out our form, and we'll help you choose the perfect plan to suit your needs.